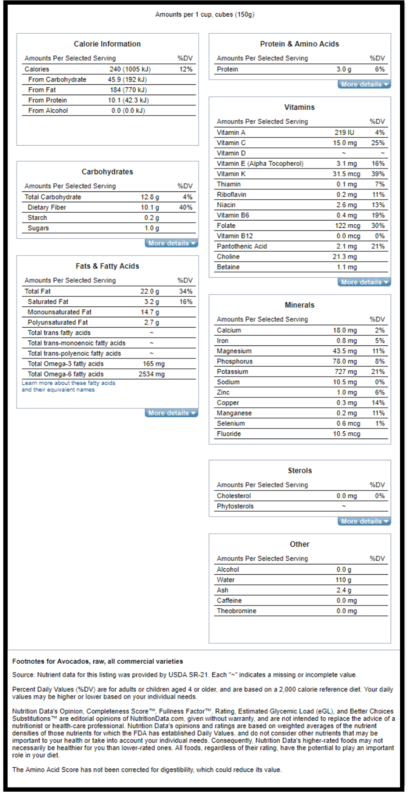 almost 6 grams of fat, 3.4 grams of carbohydrate, less than a gram of sugar, almost 3 grams of fiber. Vitamin K is essential for bone health. 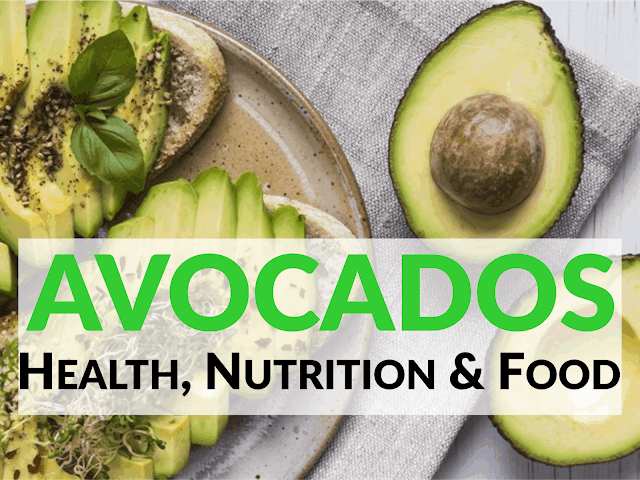 Half of an avocado provides approximately 25 percent of the daily recommended intake of vitamin K. This nutrient is often overlooked but is essential for bone health. baby breast-feeding, Folate is also known as folic acid. Folate is extremely important for a healthy pregnancy. Adequate intake reduces the risk of miscarriage and neural tube defects. According to the Department of Internal Medicine and Nutritional Sciences Program of the University of Kentucky, high fiber intakes are associated with significantly lower risks of developing coronary heart disease, stroke, hypertension, diabetes, obesity, and certain gastrointestinal diseases. Increased fiber intake has also been shown to lower blood pressure and cholesterol levels, improve insulin sensitivity, and enhance weight loss for obese individuals. Researchers found that avocado seed husks contain compounds that could help to kill viruses, combat heart problems, and treat cancer. Spread avocado on toast in the morning instead of butter. 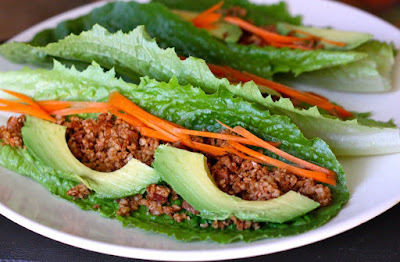 Use avocado instead of mayonnaise salad, or as a spread on a sandwich. The soft, creamy texture of an avocado and its mild taste make it a perfect first food for babies. 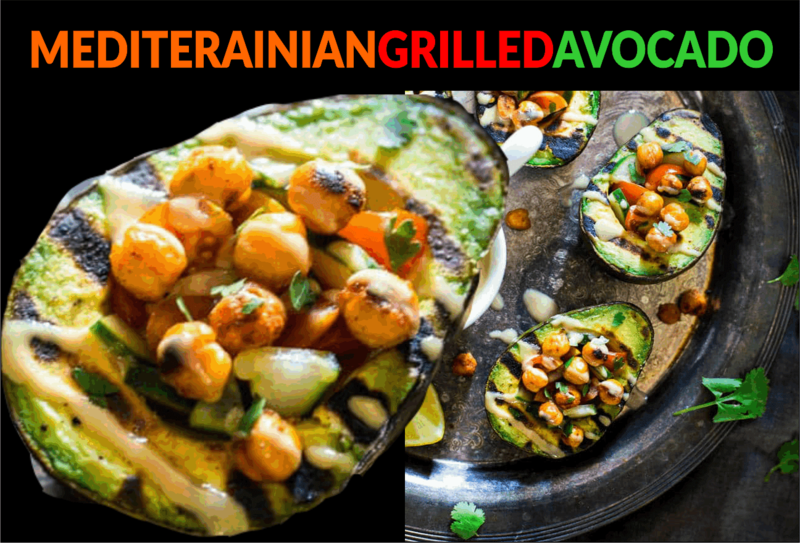 Vegan Mediterranean Chickpea Stuffed Grilled Avocado - Grilled avocado is stuffed with fresh cucumber, tomato and crispy grilled chickpeas! A drizzle of tahini makes this a delicious, healthy and easy, vegan dinner for under 250 calories! Preheat your grill to medium/high heat. The temperature gauge should read about 400 degress once heated. Place the rinsed chickpeas onto a paper towel and dry well. Transfer to a small bowl, peeling off any of the papery skins that come lose while you dried the chickpeas. Spray the chickpeas generously with Coconut Oil (Grapeseed, olive or your oil of choice, for those who do not use processed foods, cold pressed coconut oil is best or use a vegetable stock baste) and then toss with the smoked paprika and a few generous twists of salt and pepper. Place the chickpeas into the bottom of the grill basket into an even, flat layer. Place onto the grill and cook for 10 minutes. Then, spray the chickpeas again with coconut Oil and stir around. Cook for another 10-12 minutes until lightly charred and crispy. Remove from heat and let cool. Cut the avocados in half, removing the pit. Scoop out the center of the avocado so you have a large, deep hole. Spray the avocados with Pompeian Coconut Oil and sprinkle with salt and pepper. Place, flesh-side down, onto the grill and cool until nice grill-marks form, about 5 minutes. While the avocados cook, mix the cucumber, tomatoes and lemon juice in a small bowl. Season with a pinch of salt and pepper. Divide the cucumber mixture between each avocado half, making sure to really stuff it into the center. Top each half with 1 Tbsp of chickpeas* and drizzle with 1/2 tsp Tahini. * You will not use all of the chickpeas in this recipe, only about 1/3 of the can. But, it's easier to just grill the whole can and then snack on the extra crispy chickpea goodness! Watch the video and see how to make this delicious dessert. 1. Blend all the ingredients for the crust with a food processor. 2. Put the mixture in a tart tin and press down evenly. 3. Combine all the ingredients for the filling in a food processor and process until smooth. 4. Put the mixture in the crust. 5. Leave it in a fridge for a couple of hours.